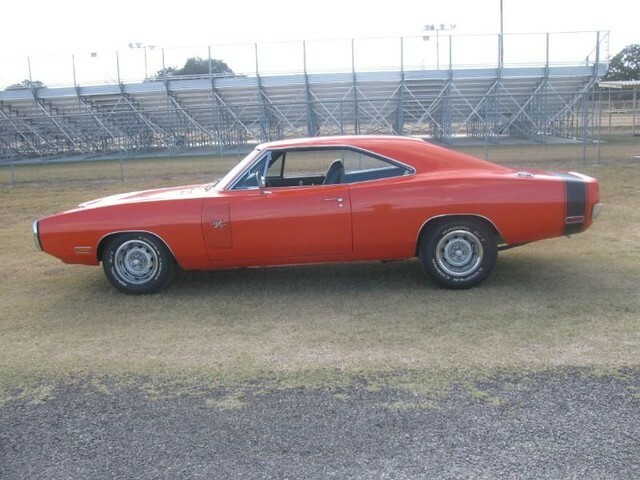 1970 Charger Rt, super track pack, HP 440 six pack engine with 6-pack added, original hemi 4-speed, factory dana rear with 4;10 sure grip, California car up to 12 years ago when second owner purchased it. Very solid rust free car, These cars as we all know are getting very hard to find. This is a very nice driver. Only around 1443 were built and with the factory track pack, even less. Comes with factory original fender tag and build sheet. Mileage is believed to be original 86000 on this two owner car. Update March 15 2019. New paint job, base/clear beautiful straight body, many man hrs into this restoration, new carpet with hounds/tooth bucket seats and interior, new door handles, new R/T badges. This car has HP2 block, six pack K-Frame, Hemi power steering pump, real Mopar six pack added, ETC. More pics coming soon car is going to mechanic shop for detailed engine bay, trunk stripping, tail panel and more. Visit J.J. Best Banc & Co.’ for financing located on our website.